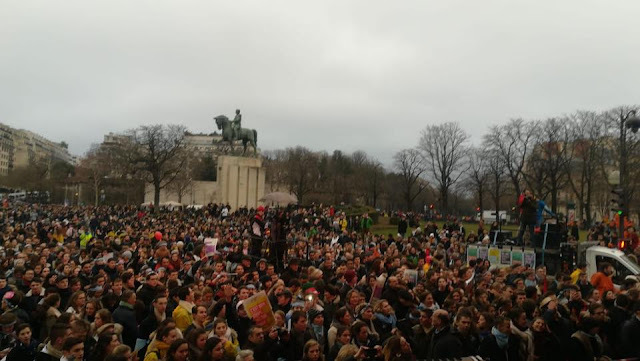 Sunday, January 20, 2019 there were 50,000 people, according to the organizers, who participated in the March for Life. 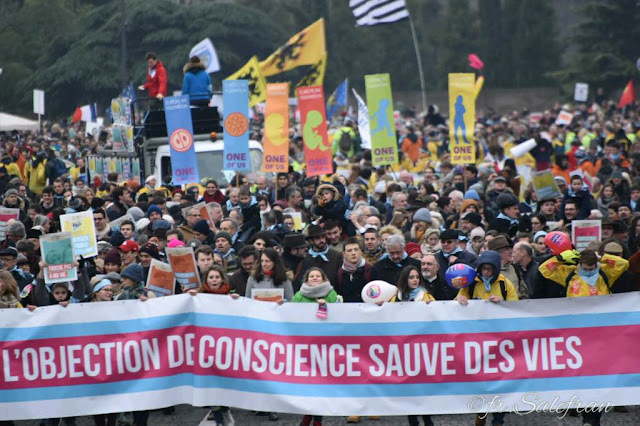 This was the 13th "March for Life" held in Paris, France. They were marching in remembrance of the 220, 000 babies killed each year in France. "One of the demands of the March for Life is to promote a new model of society that will no longer trivialize abortion by proposing a health policy worthy of the name to reduce the 220,000 annual abortions. " The slogans were "Living is a right", "IVF: telling the truth is deterring", "Protecting the weak, that's strong". 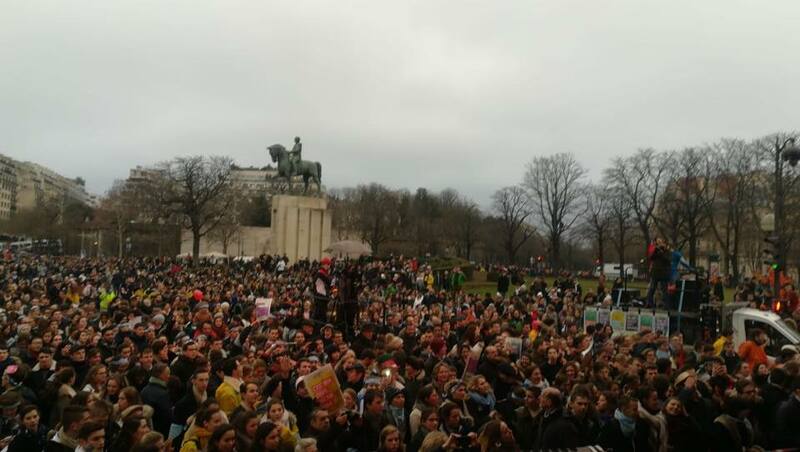 "Why can not we all agree that it should be a public health goal to lower the number of abortions in France, and that our prevention policy today does not succeed. " "We want everyone to be assured of being supported and supported in the last moments of their life by society and the medical profession. And not that one is threatened with death by those who should have taken a hand. " "We do not want the human embryo to be considered an object that can be produced for pleasure and manipulated for the purpose of utility. " Images and Information from "En March pour La Vie"